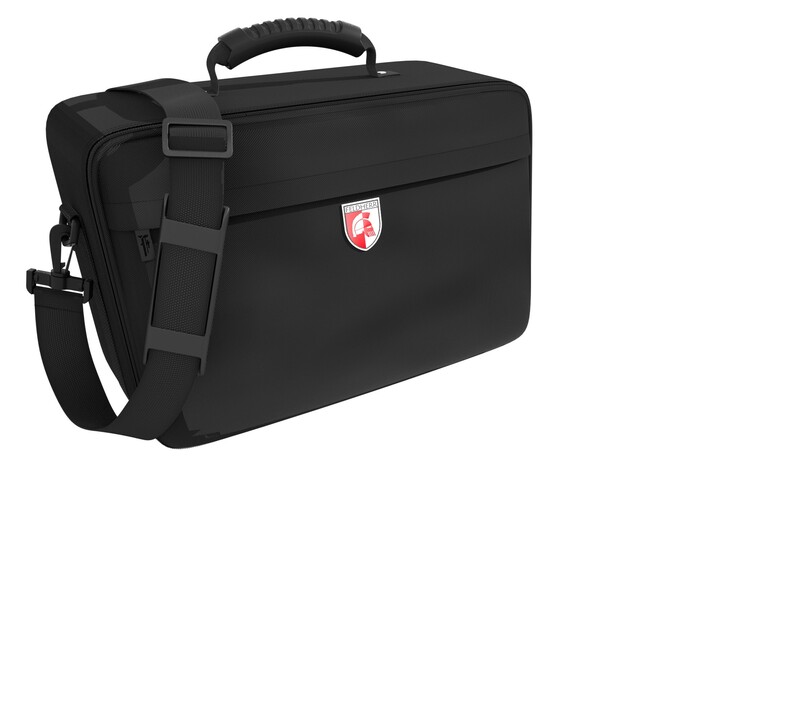 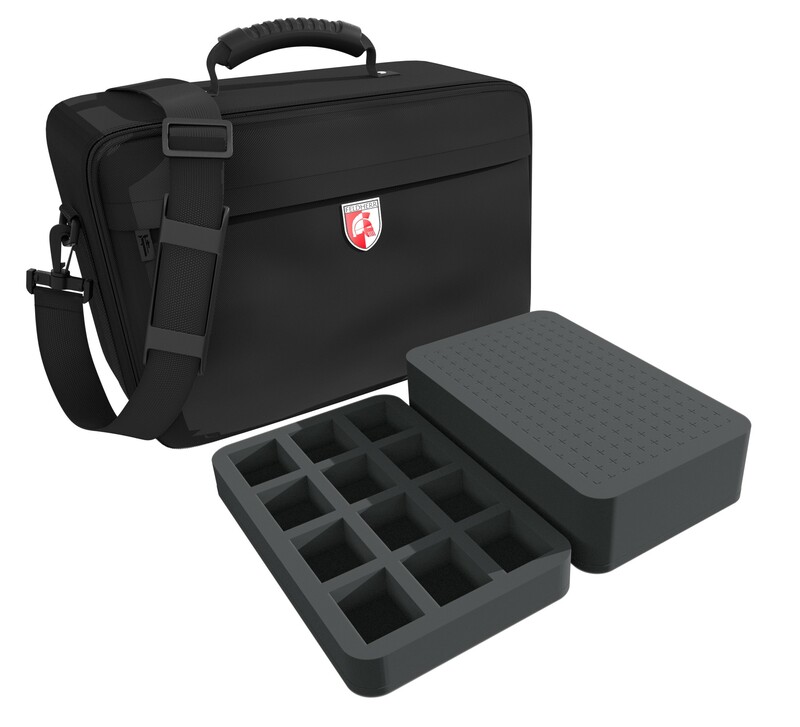 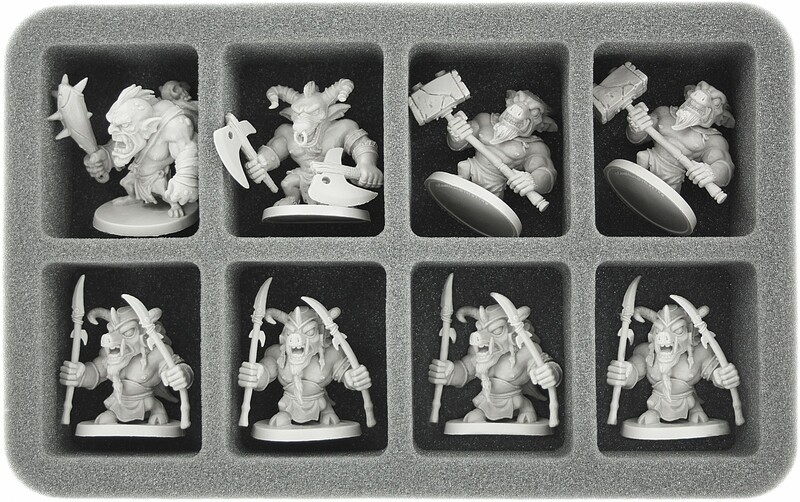 The bag is perfect for carrying all your figures from Arcadia Quest and Beyond The Grave. 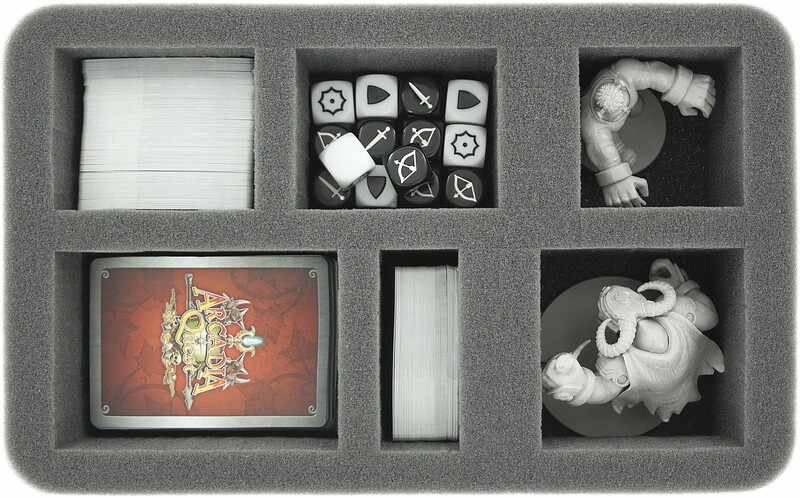 It fit all 61 figures of the games in the bag and there is additional space for more than 9 figures. 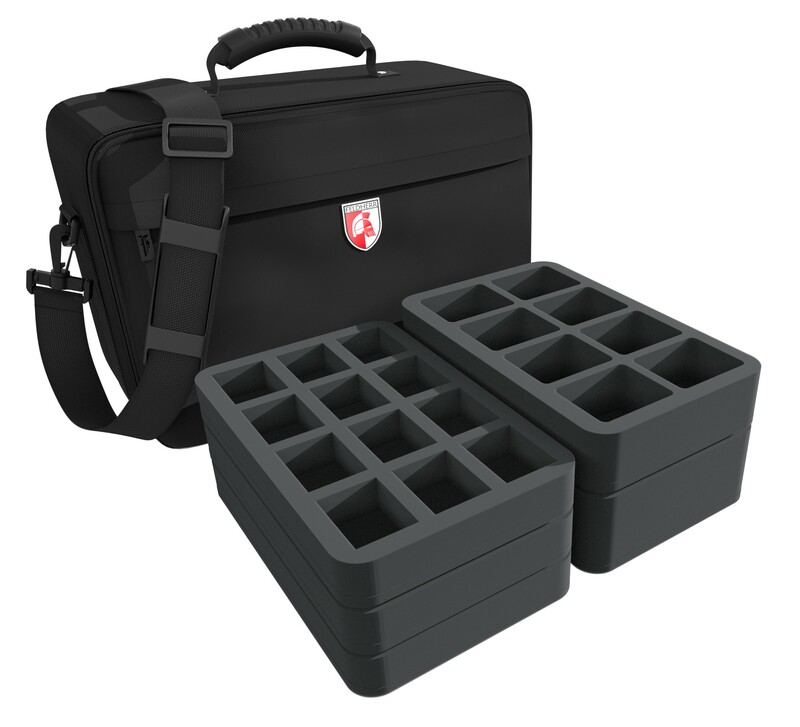 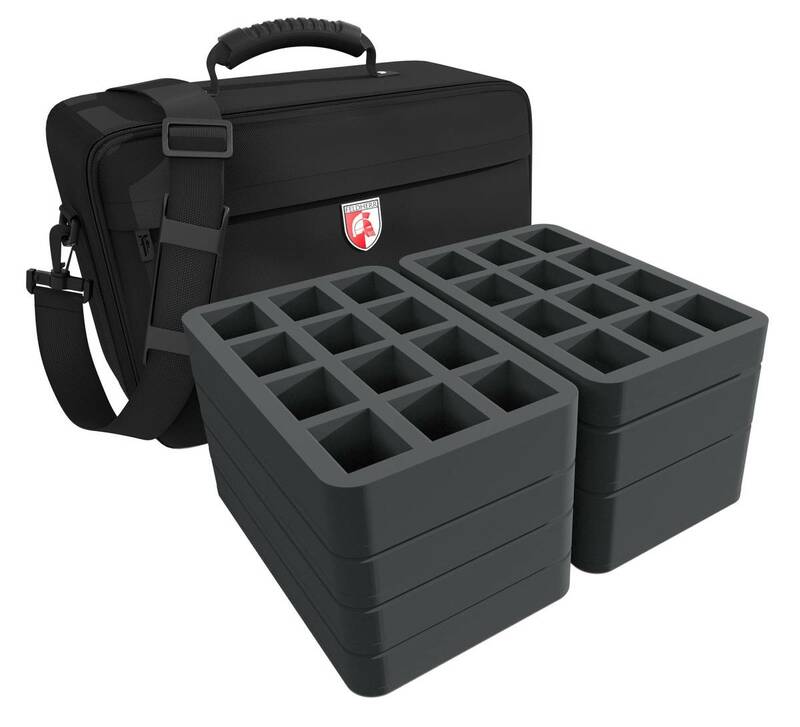 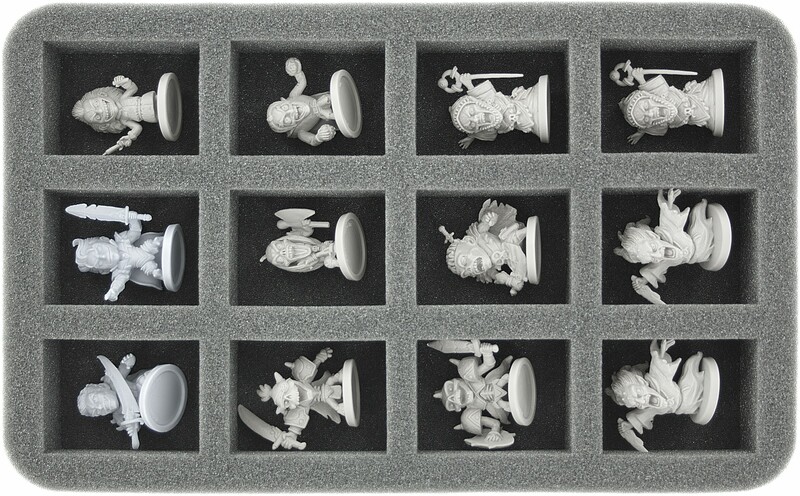 Special 35 mm Foam Tray for 12 Super Dungeon Explore figures. 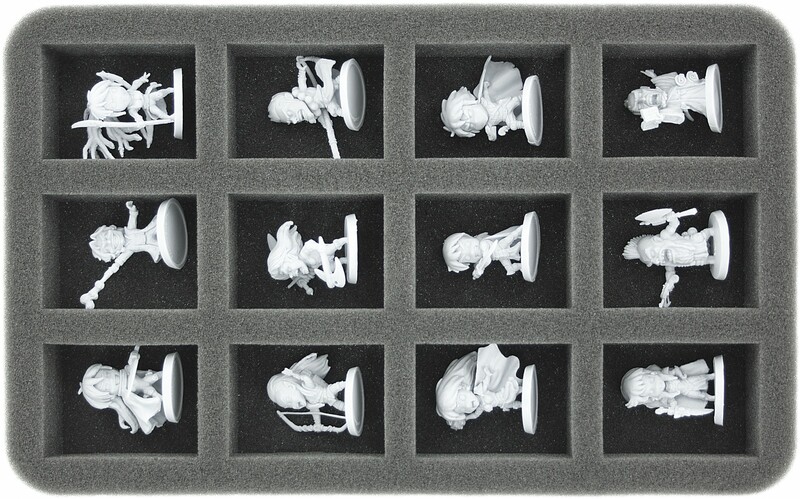 Special 50 mm Foam Tray for 12 Super Dungeon Explore figures. 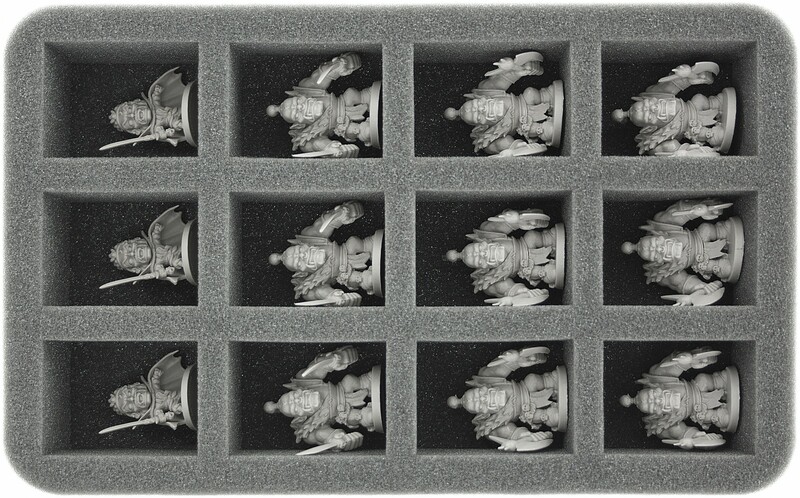 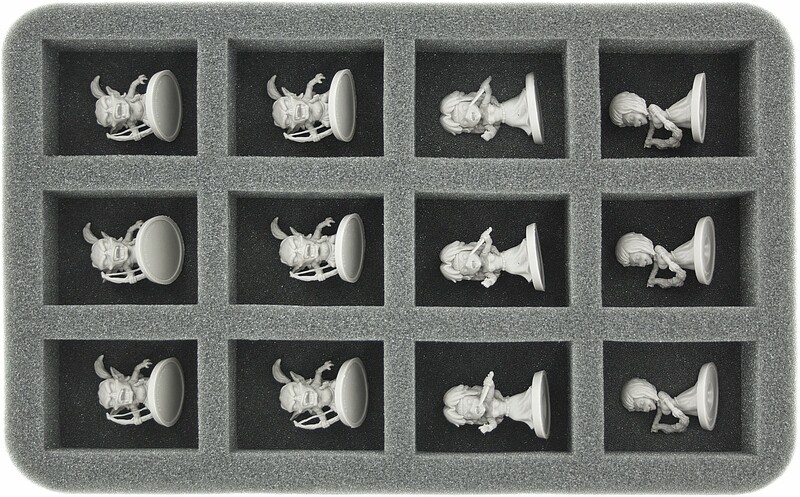 Special 50 mm foam tray for 8 big Arcadia Quest figures.